Stunning home on premium shaded greenbelt lot in desirable Teravista community. 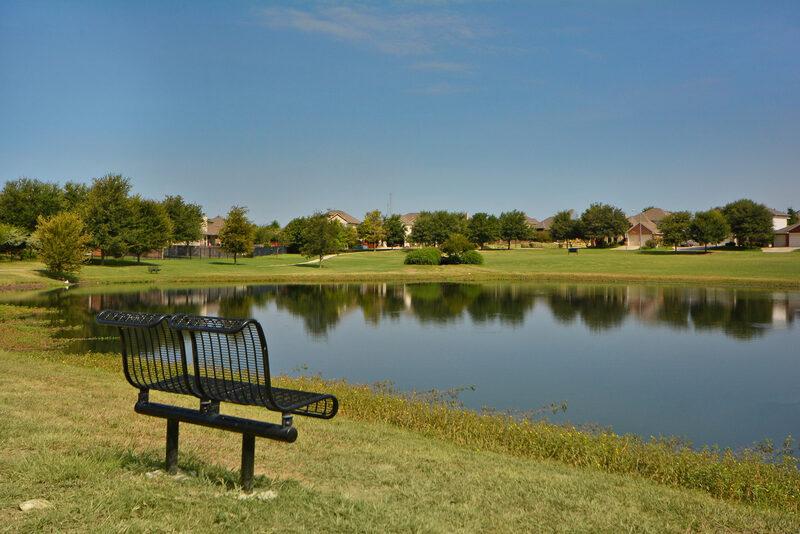 Just 2 blocks from Elementary school this upgraded home backs to the picturesque Arbor Lake and Greenbelt for added privacy. This move-in ready home features recently installed rustic wide plank wood floors throughout, extended covered patio, fresh paint, tons of natural light, 4 sides masonry, 4 bedrooms with master downstairs, media room, game room, office and kitchen with granite. Additional flex space in garage for dining area or additional room. Professional Pics Coming soon! Contact Eve at 512-784-3609 for more info.